German mathematician Horst Rittel first described wicked problems as “a class of social system problems which are ill-formulated, where the information is confusing, where there are many clients and decision makers with conflicting values, and where the ramifications in the whole system are thoroughly confusing” (quoted in Richard Buchanan, “Wicked Problems in Design Thinking,” Design Issues 8 (Spring 1992): 5–21, at p. 15). Among their defining properties are the lack of a definitive formulation, the presence of multiple explanations, and the fact that every wicked problem is a symptom of another higher-level problem. 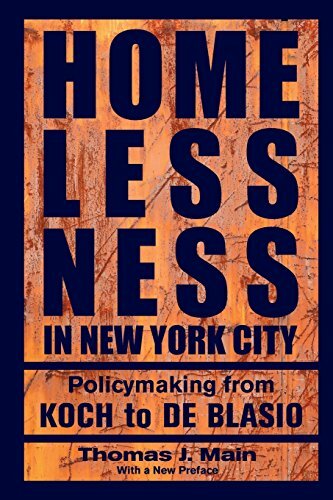 Contemporary urban homelessness is clearly a wicked problem of the first order that has bedeviled New York City's citizens, government officials, advocates, and social service providers since its reemergence in the late 1970s.